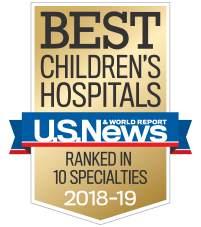 Children’s serves you with three hospitals and 27 neighborhood facilities, including six Urgent Care Centers. Patients and their families flying in from out of town will arrive at Hartsfield-Jackson Atlanta International Airport, which is the world’s busiest airport. If you don’t have a car when you’re in Atlanta, it’s easy to get around on MARTA, the regional bus and rail transportation system serving Fulton and DeKalb counties, where all three of our hospitals and many of our neighborhood facilities are located. We know that surgery and other medical procedures and treatments can be stressful for parents, children and teens. So the more prepared you are for the care you‘ll be receiving here, the more relaxed your family will be. We have many of the basic necessities your child needs for an overnight stay, including diapers, hospital gowns and slipper socks, but we recommend that you bring your own toiletries. We provide breast pumps for breastfeeding mothers, but you can bring your own if you prefer. We also provide age-appropriate toys and video games. Medicine: Bring your child’s medicine in the prescription bottle. This tells us the exact dose your child is taking at home. Comfort items: Children enjoy having their favorite clothing and other possessions from home, such as pacifiers, favorite blankets, soothing music, special toys or books. There’s enough space for one adult to sleep in each room, so other family members should plan to stay in a hotel if you are traveling from outside metro Atlanta. You can eat in our cafeteria or order meals for delivery to your child’s room. You may also bring food and snacks from home. Every floor of the hospital has a refrigerator, microwave and coffee maker. Each of our hospitals provides amenities to help you and your child feel at home that include a parent business center, family library and chapel. The costs of these housing options have been negotiated at a significant discount. Some, like the two Ronald McDonald Houses, are offered at little or no cost. Your child’s social worker and healthcare team will help you with the screening and selection process. Each of these houses is a lovely home-away-from-home. Your social worker can help you identify alternate housing. Families can take advantage of a wide variety of services and amenities at all of our hospitals to meet their needs.